The inspection process is the most crucial part of any home watch company. We are the eyes for the homeowner in their absence. An interior visual inspection will consists of looking for water leaks, mold, tripped circuit breakers, air conditioning, and signs of forced entry. An exterior inspection, if applicable, consists of checking doors, windows, patios, screen enclosures, pools and landscaping for any signs of defect. The reporting process is very important in identifying the condition of the property, and quickly notifying the homeowner of any concerns or course of action needed to remedy a potential issue. All inspection reports are digitally recorded with photos and a description of the property and can be easily emailed to you. Digital reports will be stored in our archives for easy retrieval of past inspections. We offer a concierge menu that can be personalized to fit your needs. These are services offered above and beyond our basic home watch services. Our goal as a professional home management company is to not only provide you with peace of mind while you're away, but to also help manage your time in your vacation home more efficiently. 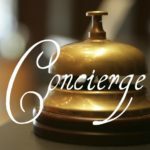 Below is a sample of our concierge services that can be added to your home watch plan.